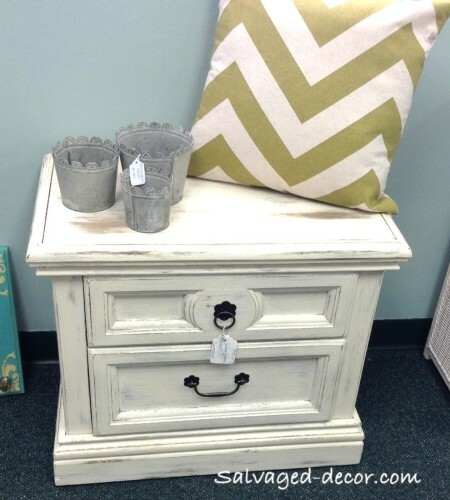 The possibilities are endless of ways you can transform furniture with our all natural chalk and clay paint! 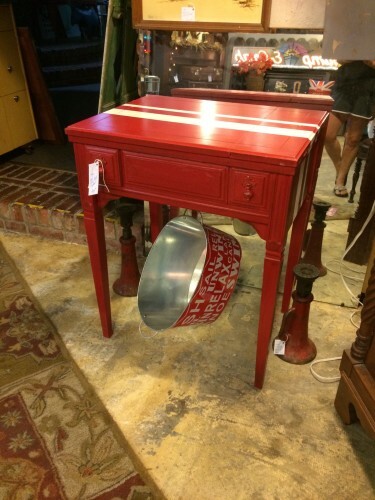 Junque in My Trunk painted this table using Fireworks Red, Navajo White and finished in Top Coat. 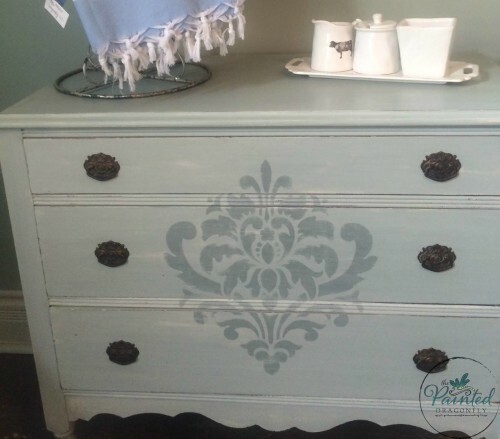 The Painted Dragonfly painted this dresser with a 50/50 mix of Dollar Bill and Home Plate, stenciled in Dollar Bill and finished in Clear Wax. 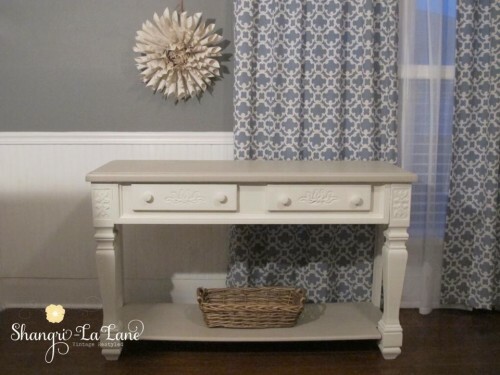 Wild Dandelion painted this desk in shades of gray made from Lincoln’s Hat, Black Mica and Cannonball to variations of Lincoln’s Hat mixed with Navajo White. 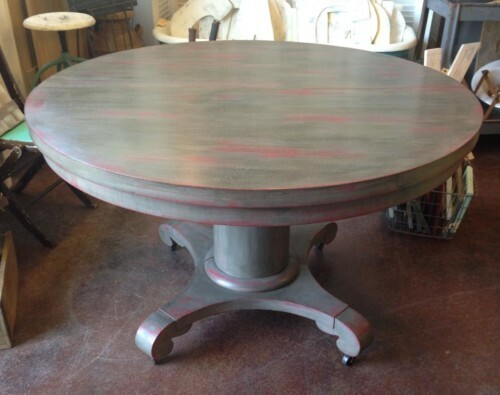 4 Quarters painted this table using Freedom Road over Fireworks Red. 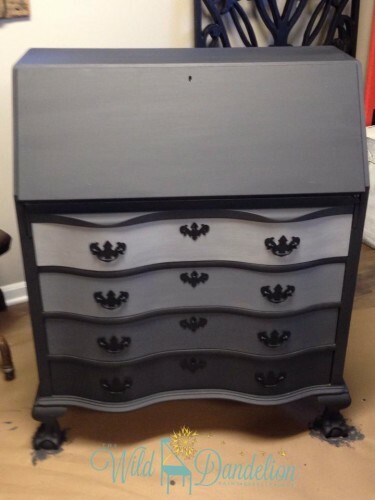 Piccadilly Bob’s Good Time Boutique painted this dresser using National Forest, Dawn’s Early Light and finished with Brown Glaze, Top Coat and Dark Wax. 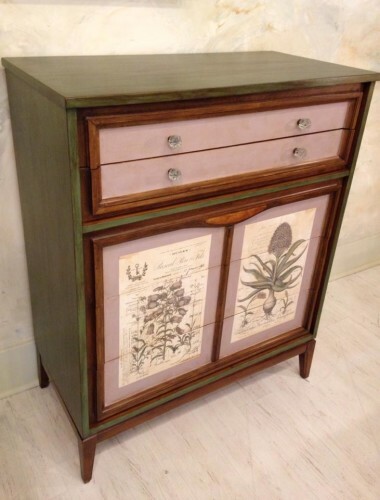 Salvaged Decor painted this nightstand using Home Plate over Desert Cactus. 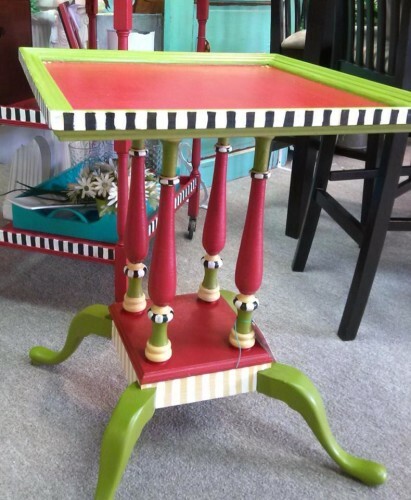 Shangri-La Lane painted this table using Rushmore on the top and bottom shelf and Home Plate on the body. 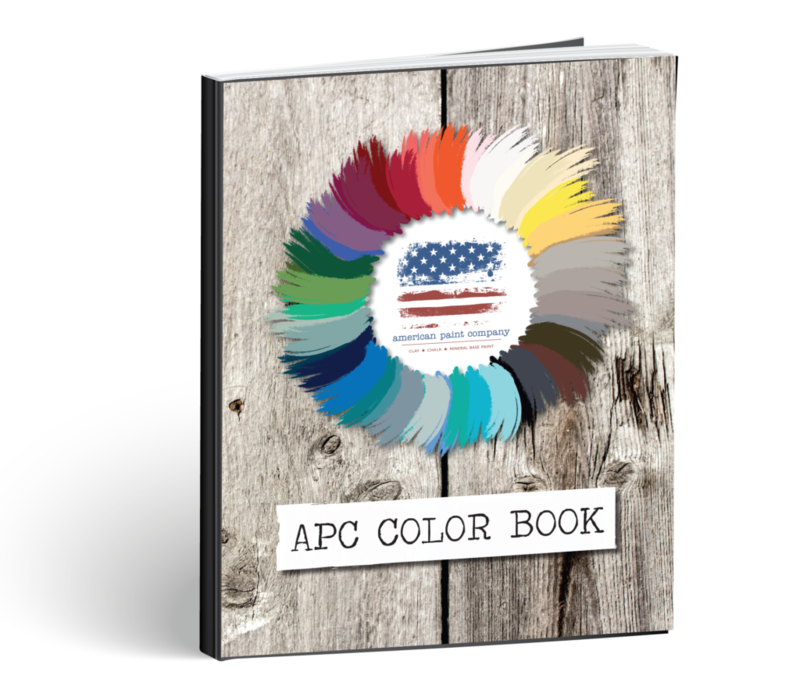 Sassy Frass Company painted this table using Waistcoat, Amber Waves of Grain, Fireworks Red, Lincoln’s Hat, and Navajo White. 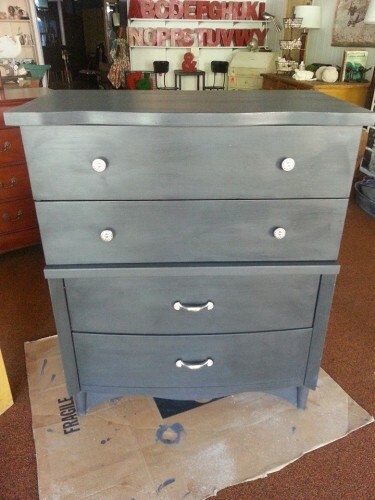 Lia Graco painted this dresser using Cannonball and finished in Top Coat and Clear Wax. 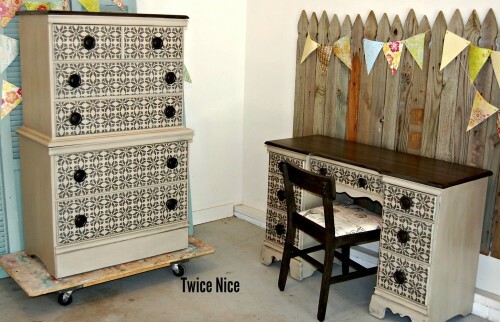 Twice Nice painted this desk and dresser using a blend of National Forest, Desert Cactus and Lincoln’s Hat for the top. The body is painted in Rushmore with the stencil done in Freedom Road over Lincoln’s Hat then finished in Top Coat, Dark Wax and Black Mica. 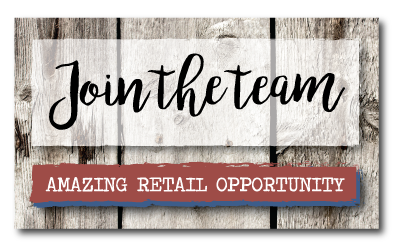 What will you be transforming with our all natural chalk and clay paint? I love the color Sasa Frass used! Did they mix all the colors listed together?..